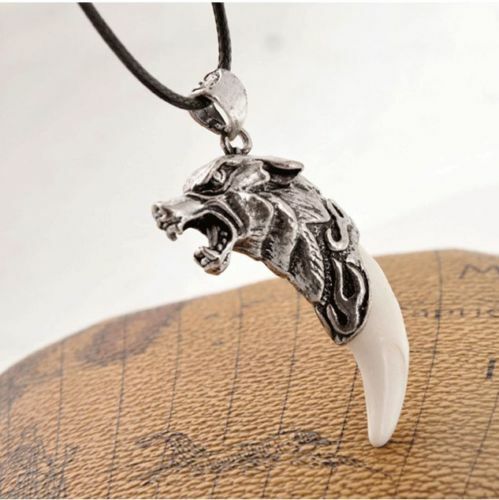 I have a neat silver wolf head wit black claw necklace piece that I want to make into a trackable, but I can't figure out how to do it. Do I HAVE to purchase a travel bug to do this? I'm moving this thread from the Website Bug Reports and Feature Suggestions forum to the Travel Bug forum. So, just purchase the travel bug, but make another tag with the code to go with my item instead of using the trackable bug I buy? You may use just the tracking number, and inscribe it onto the piece, in which case you don't send out the TB tag. Or you can attach the tag instead. An advantage of securely attaching a TB tag is that finders may easily recognize it as a Trackable item. If there's no tag, more info would need to be inscribed, such as "Track at Geocaching.com". Don't expect it to last too long out on it's own. That's about $1.50 on eBay, with free shipping. Anyway, yeah buy a TB for its tracking number (or use the tracking number on a Geocoin you own and which you aren't releasing). Maybe the tracking number can be embedded or laser-engraved on the tooth part. Or attach the TB in a way that's pretty tough to remove. Also, there are even smaller "Trackable tags" that might be pretty cool to attach instead. If it's valuable or collectible, sure it's best to keep it yourself, and log visits or allow friends to "discover" it. I've revived my lost coins and TBs, and several are very nice reincarnations of the original. Not to be placed in a cache ever. That nice.